Roxanne Martinez became involved with Komen in October of 2010 when she made a donation to her sorority sisters in Florida who were participating in a Komen event. Donating to the cause prompted Roxanne to do a self-breast exam and after finding a marble sized lump in her left breast, she made an appointment with her primary care physician. Two weeks later Roxanne’s physician confirmed that it was in fact a lump, referred her to get a biopsy and also confirmed that Roxanne was pregnant. She went in for a biopsy, and on the first of November received a call confirming that it was breast cancer. To put it simply, Roxanne was shocked. She considered herself “young”, and couldn’t believe that at the age of 30 she could have cancer. After her initial shock had set in she notified her family and closest friends by mass text message, not able to find the strength to speak the words of her diagnosis. Roxanne immediately went to the Internet for more information. The Susan G. Komen for the Cure Website was the first source of information she found, and there was a surplus of support, facts, and survivor stories on the website about breast cancer in addition to a link for newly diagnosed patients. After her diagnosis and researching information on breast cancer, Roxanne reached out to Komen Greater Fort Worth who in-turn put her in touch with Cancer Care Services, a local Dallas/Fort Worth organization that offers support to cancer patients. Cancer care services is one of the many organizations Komen supports through grants. Through these grants, Cancer Care Services helped to pay for some of Roxanne’s medications and chemotherapy. 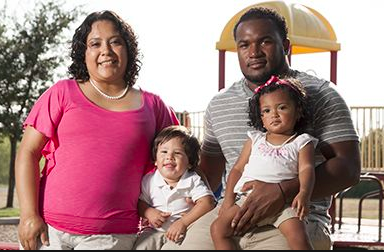 Three days after her diagnosis, Roxanne had her first obstetrics and oncology appointment. The initial reaction of Roxanne’s OB/GYN was uncertainty and this was the first time it crossed her mind that she might not be able to have her baby while fighting breast cancer. Later that day, she went to her oncologist appointment where her oncologist shared a wealth of information to Roxanne and her family. In addition, her oncologist gave her and her family a lot of hope, not only for beating breast cancer, but also for her unborn child. In less than 2 weeks after her initial appointments, Roxanne had a left mastectomy and exactly one month later she started chemotherapy. In the beginning Roxanne wanted to keep her diagnosis private and only share it with her family and closest friends. However, right before Roxanne went into surgery she decided it would be best to send an email to her closest sorority sisters in Florida telling them of her diagnosis. When Roxanne came out of surgery, there was an overwhelming response from her sorority sisters offering their love and support. With this overwhelming response Roxanne decided to no longer keep her diagnosis a secret. Roxanne decided that social media would be a great way to keep everyone updated and word quickly spread throughout her network of friends and sorority sisters of her diagnosis and pregnancy. Messages of support, love, and encouragement helped her to fight this battle. She started a Facebook support group and began to use a Twitter account solely dedicated to her breast cancer updates. Roxanne has obtained a huge support group through the use of social media, having her local network of family, friends, sorority sisters, and other survivors. Roxanne found comfort in the fact that social media really connected her with other survivors and even found a small group of women who were also going through pregnancy while battling breast cancer. As Roxanne learned more about breast cancer and the Susan G. Komen foundation and what they had to offer, she found the desire to participate in Race for the Cure. In years past, Roxanne had contributed money to friends participating in different events, but this year it was extremely personal and nothing was going to stop her from completing the 5K. Not cancer, not chemotherapy, not even being eight months pregnant. The best piece of advice Roxanne can give to those diagnosed with breast cancer was actually given to her by a fellow survivor: attitude is everything. This mentality has proven to be true for Roxanne and has helped her fight her battle with breast cancer. Roxanne says that the most important thing is to stay strong and to stay positive, although it may seem like it, it is not the end of the world, life does go on and you have to too.